I always stumble on this scripture, but today I am going to tackle it! Recently I have really struggled with letting God take over some of my needs in life. You see, I believe my needs can be categorized into two different categories: spiritual and physical. I do a great job allowing God to control my spiritual needs. I know that in order to live my day to day life, I need God. I need scripture. I need prayer. My conversations with God start off each morning around 8am and continue sometimes until 9am. I open the bible, I reflect on His Word, and I write the thoughts that He has placed in my mind. I truly love those moments with God. The parts I have been struggling with are relinquishing my physical needs to God. I just have this doubt sometimes that God will be able to provide my family with all the “needs” that we have. 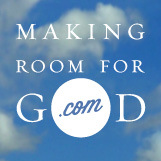 Taking a big plunge, I decided to start writing/blogging/speaking God’s words to people who desperately want to hear it. When I did this, I left my job and any money that I was contributing for my family’s “needs” and started doing what I felt God was calling me to do. Even with this giant leap of faith, I still doubt that God will provide for that extra money that our family “needs.” I am sure you have noticed that I have placed “needs” in quotations. Because the “needs” that I am doubting are the things that I want, not necessarily that I need. I have become accustomed to a certain lifestyle and I am doubtful that God will provide that for me. Mostly, because I know that I live way beyond what I truly NEED. What does all this have to do with the parable in Luke? Well, There are four types of seeds in the parable: the seed that fell beside the road and was trampled or eaten by birds, the seed that fell on rocky soil and withered away, the seed that fell among the thorns and was choked by the thorns, and lastly the seed that fell into good soil and produced a good crop. The first seed has listened to the word of God, but allows the devil to take up what he has heard and sweep it away. I do this all the time. I let someone usurp the love I have felt from reading God’s Word. Sometimes after I have my morning “coffee time” with God, I receive an email, a phone call or text from someone who just seems to swipe away all the good that I have just produced within myself. Recently, I read in the book, “Unglued” by Lysa Teukerst a wonderful quote, “Do not check in with the World’s demands, before you exchange whispers with God.” My coffee time with God should be my way to “armor” myself so that I don’t let the devil take away my faith! The second seed is those that have heard, believe, but then fall away shortly after hearing God’s Word. I have done this when I go to church and hear a great sermon. I feel recharged and then I enter back into the real world and all I have learned seems to fall to ground. I don’t put into practice what I have just heard. I just let it all fall to side. Sometimes, I have even patted myself on the back for going to church to make myself feel better. Ultimately, if I am going to church and doing nothing to change my faith, then I shouldn’t be patting myself on the back for anything. The third seed signifies those who have heard God’s Word, but just cannot let go of all the worries and pleasures of life (this would be my situation above). This is where I have been spending a good part of my life lately. I am letting my seed fall into the thorns. I am letting all the pleasures of life take over. I falsely believe that I cannot live without these pleasures. I realized today that I am only reluctant to hand this over to God because I am afraid. Fear is stopping me from change. I cannot let that happen. Fear is an obstacle of the devil. The good news is that the devil only tempts those that he knows are strong in their faith. When we are not being tempted by the devil, then we need to seriously take a look at our lives and make some changes. Because if the devil isn’t trying to tempt you, then he already has you. The last seed is the one that hears the Word of God and spreads that Word to many (this would be who I strive to be through my writings). I have been all the seeds at one time in my life. In fact sometimes I am all of them at the same time. The key to changing our faith life to become like the last seed, is being open and willing to let God take charge. The hard part about letting God take the reins is that He will take us on His path, not ours. My future may not be what I always dreamed, nope it won’t. It will be better, because I will be with God, and He will take care of my every NEED. This entry was posted in Faith, Family, God, Jesus, Religion, Social Justice, Uncategorized, Women and Christianity and tagged devil, Faith, God's Word, sin, struggle, temptation, time with God. Bookmark the permalink.